Salmon is the common name for several species of fish in the family Salmonidae. Other fish in the same family include trout, char, grayling and whitefish. Various species of salmon display anadromous life strategies while others display freshwater resident life strategies. 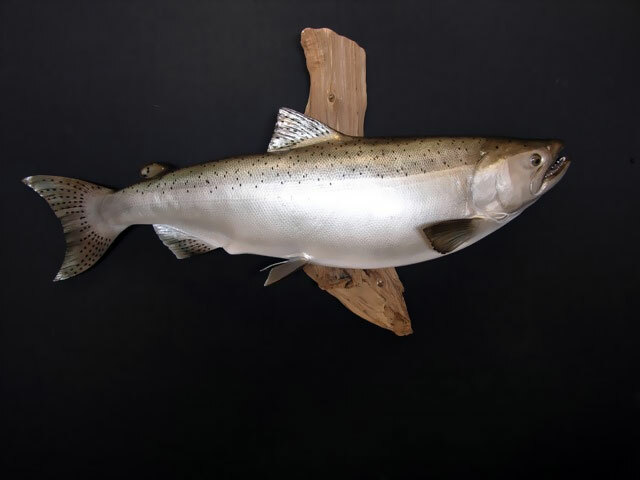 Salmon are native to tributaries of the North Atlantic (genus Salmo) and Pacific Ocean (genus Oncorhynchus). 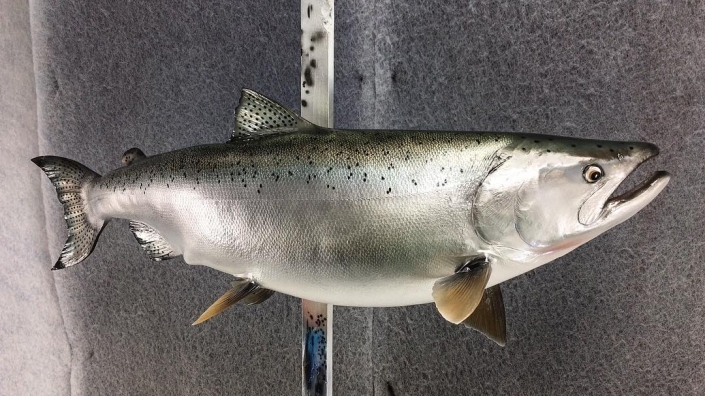 Many species of salmon have been introduced into non-native environments such as the Great Lakes of North America and Patagonia in South America. Salmon are intensively produced in aquaculture in many parts of the world. Typically, salmon are anadromous: they are born in fresh water, migrate to the ocean, then return to fresh water to reproduce. However, populations of several species are restricted to fresh water through their lives. Folklore has it that the fish return to the exact spot where they were born to spawn; tracking studies have shown this to be true, and this homing behavior has been shown to depend on olfactory memory.